With up to a quarter of US children and adolescents affected by a chronic condition, Sinead Ni Mhurchadha and Anna O’Sullivan stress the importance of understanding their needs and developing the best support programmes. In children and adolescents, a chronic illness is defined as any condition – physical, emotional, or mental – that lasts several months or more, which prevents an individual 17 years or younger from engaging in their regular activities.1 There are many chronic illnesses affecting children and adolescents, including, but not limited to: asthma, cystic fibrosis, type 1 and type 2 diabetes, obesity, cancer, chronic pain, and autoimmune conditions. 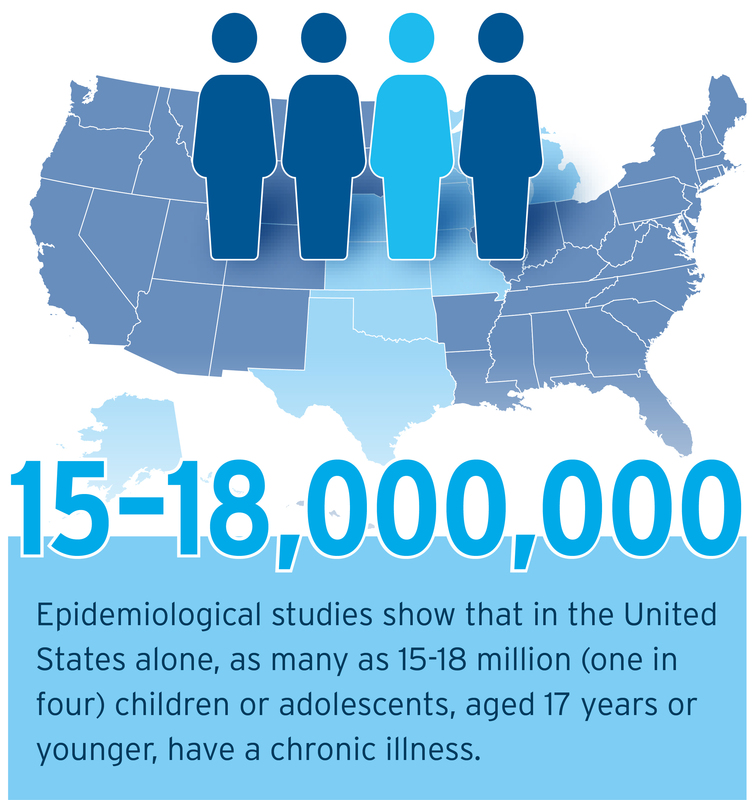 Chronic illnesses represent significant burden to individuals and to the healthcare system as a whole. In the United States alone, as many as 18 million – that’s one in four – children and adolescents are affected by chronic illness.2 In addition to enduring the biological, social, and cognitive challenges associated with growing up, these young people may be frequently hospitalised, face countless appointments and endure repeated (sometimes painful) procedures and tests. How is the paediatric experience unique? As a child, navigating life with a chronic condition has specific challenges. Schoolwork, social activities, and peer relationships are all heavily affected. Likewise, relationships within the family can become strained, with adolescents feeling overwhelmed at their reliance on their parents or, in some instances, parents feeling blamed for having passed on the condition genetically.3,4,5 As you may expect, the factors influencing adherence in this patient population are as diverse and complex as the patients themselves. Implementing support solutions to help chronically ill young people manage their conditions is critical, but there are challenges. Reports suggest that, as advances in the detection, diagnosis and treatment of once life-threatening illnesses continue, the prevalence of chronic illness will increase too.6,7 Latest research demonstrates that there is a significant opportunity to intervene at an early age, and that, by equipping young people with the right knowledge and skills, they can be supported to better cope with, and manage, their illnesses. This may, in turn, reduce the burden of chronic illness on individuals and healthcare systems as these young people transition into adulthood. Given the prevalence of these conditions and lifestyle factors such as rising rates of childhood obesity, support solutions for children and adolescents with chronic illness will probably become increasingly vital and valuable over time. While support solutions have undeniable potential, they can only be successful if designed with the patient’s needs at the core. If the end goal is improved health outcomes, then user-centred design and psychological techniques must work alongside each other. In the interests of developing effective, patient-centric support solutions that drive positive outcomes, it is necessary to gain a deeper understanding of the challenges faced by child and adolescent patients and areas where support is lacking for them. Extensive research among patients, their parents and healthcare professionals, has given us unique understanding of the paediatric experience in chronic illness. This knowledge, experience designing paediatric support solutions, and health psychology expertise grounded in strong evidence, are the basis of solutions that can improve this picture. Supporting the transition of self-management responsibilities and the transition from child to adult services is another critical element to any effective paediatric intervention. Evidence shows that structured, transitional care programmes, which incorporate individualised transition plans, have resulted in improved health-related quality-of-life scores for adolescents with juvenile idiopathic arthritis within paediatric care.12 In addition, Huang et al13 demonstrated the efficacy of a technology-based, transition intervention to improve disease management, health-related self-efficacy, and patient initiated communications among adolescents with chronic illness, using multiple channels, secure website tailored SMS and inbound phone lines. Adolescents prefer dynamic support solutions that capture and maintain attention, so digital-based solutions are among the most successful when it comes to behaviour change initiatives. The compatibility of digital support solutions with attractive and appealing formats and interactivity is another key advantage. In simplest terms, in allowing for the provision of tailored information, incentives, feedback and reminders, they can offer a valuable practical asset.14 Further to this, by incorporating gamification and/or social media principles, designers can optimise the user experience and therefore improve engagement levels significantly. Delivering an engaging intervention that meets the high expectations of paediatric groups can be a challenge, yet equipping adolescents with the skills to successfully manage their illness can reduce the burden of chronic disease in the long term and is therefore a worthy pursuit. While there are recurrent themes when developing paediatric support solutions, insights between therapy areas vary significantly and, for this reason, exploratory work is required to ensure that the needs of any given patient group are met. By applying the aforementioned knowledge alongside psychological techniques and user-centred designs, effective and engaging behaviour change solutions can be formed. For further information, download the white paper: ‘The Chronic Illness Experience in Children and Adolescents: Exploring Challenges and Solutions’. 1 Van Cleave, J, S L Gortmaker, and J M Perrin. Dynamics of obesity and chronic health conditions among children and youth. JAMA, 2010. 303(7): p. 623‑630. 2 Van der Lee, J H, et al. Definitions and measurement of chronic health conditions in childhood: a systematic review. JAMA, 2007. 297(24): p. 2741‑2751. 5 Vermaes, I P, A M van Susante, and H J van Bakel. Psychological functioning of siblings in families of children with chronic health conditions: A meta‑analysis. Journal of Pediatric Psychology, 2012: p 166‑184. 6 Mokkink, L B, van der Lee, J H, Grootenhuis, M A, Offringa, M & Heymans, H S A. Defining chronic diseases and health conditions in childhood (0‑18 years of age): National consensus in the Netherlands. European Journal of Pediatrics, 2008. 167: p. 1441‑1447. 7 Compas, B E, et al. Coping with chronic illness in childhood and adolescence. Annual Review of Clinical Psychology, 2012. 8: p. 455. 8 Suris, J‑C, P‑A Michaud, and R Viner. The adolescent with a chronic condition. Part I: developmental issues. Archives of disease in childhood, 2004. 89(10): p. 938‑942. 9 Taylor, R M, F Gibson, and L S Franck. The experience of living with a chronic illness during adolescence: a critical review of the literature. Journal of clinical nursing, 2008. 17(23): p. 3083‑3091. 10 McCarroll, E M, et al. Health status and peer relationships in early adolescence: The role of peer contact, self‑esteem, and social anxiety. Journal of Child and Family Studies, 2009. 18(4): p. 473‑485. 11 Tanis, M. Health‑related online forums: what’s the big attraction? Journal of health communication, 2008. 13(7): p. 698‑714. 12 McDonagh, J, T Southwood, and K Shaw. The impact of a coordinated transitional care programme on adolescents with juvenile idiopathic arthritis. Rheumatology, 2007. 46(1): p. 161‑168. 13 Huang, J S, et al. Preparing adolescents with chronic disease for transition to adult care: a technology program. Pediatrics, 2014. 133(6): p. e1639-e1646. 14 Griffiths, F, Lindenmeyer, A, Powell, J, Lowe, P, & Thorogood, M. Why are health care interventions delivered over the internet? A systematic review of the published literature. J Med Internet Res, 2006. 8(2): p. e10. Dr Sinead Ni Mhurchadha is a Chartered Psychologist and Senior Health Psychology Specialist at Atlantis Healthcare. 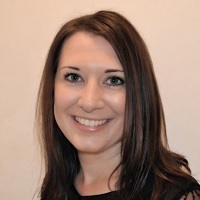 Sinead has successfully led the psychological design and delivery of a large number of global, regional and local patient support programmes and solutions across a broad range of conditions. 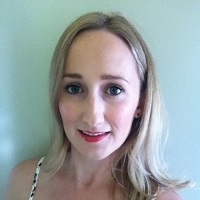 Anna O’Sullivan is a Chartered Psychologist and clinically-trained Health Psychology Specialist at Atlantis Healthcare, with a special interest in child and adolescent physical and mental health. She led the development of Atlantis’ latest paediatric patient support programme. Read the article ‘Effective support for self-managing chronic illness’ from Atlantis Health in Deep Dive: Patient centricity. Patient-centricity and long-term conditions – where next?